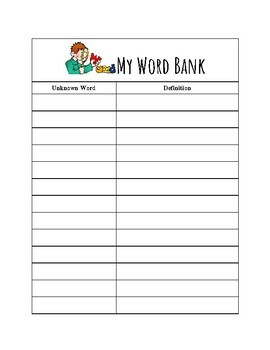 A personal word bank that fits into composition books. My students enjoy using this as they can add words that they personally struggle with. I also post the most common words up on our classroom word bank.